Rhett Hanks is originally from Anderson, South Carolina where he graduated from Clemson University. 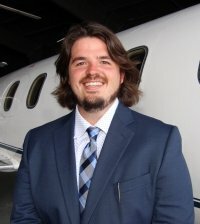 Rhett has many years of sales experience while living in South Carolina, where he owned and operated his own successful business. 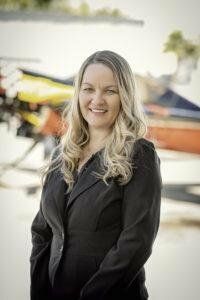 Prior to starting his business, he was a partner in a real estate company managing property along the Florida coast. 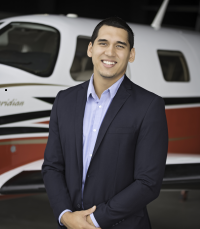 His passion for travel and new experiences led Rhett to move to Sarasota to take his sales skills and experience into the Aviation Industry. Rhett understands the importance of customer service and goes above and beyond to create a positive experience for every client. 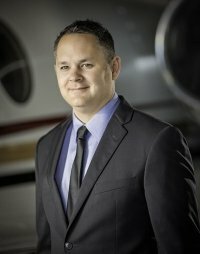 Brian has been in private aviation since 2011, where he worked with the largest fractional ownership companies in the industry and OEM maintenance facilities. He has a very keen eye for detail which is coupled with a finance background. Never running short on energy or motivation, he is always moving in a positive direction. 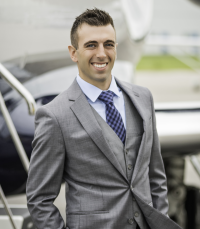 With direct experience in the product lines from Learjet, Hawker Beechjet, Citation, Embraer, Gulfstream, Bombardier, and Dassault Falcon, he has a well-rounded ability to stay current in today’s market and the latest demand trends in the industry. As an avid travel enthusiast and adrenaline seeker, he retains a worldly approach to his dealings and interactions.